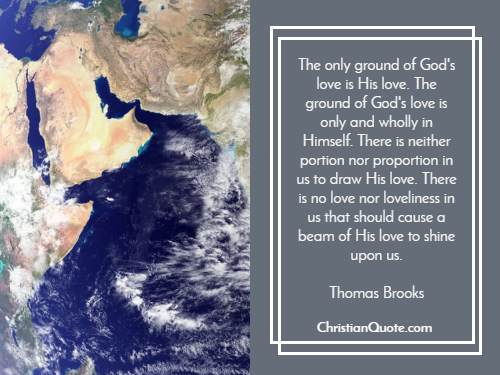 The only ground of God’s love is His love. The ground of God’s love is only and wholly in Himself. There is neither portion nor proportion in us to draw His love. There is no love nor loveliness in us that should cause a beam of His love to shine upon us.